Supporting the Arts is a key objective for NAMTA members who know that advocating for the arts enhances every community and makes good business sense. For several years NAMTA has worked hard to provide you with information and tools on its Art Advocacy Website - NAMTAArtAdvocacy.org - and Art Advocacy Social Media sites. NAMTA's Art Advocacy eNewsletters are sent out to NAMTA members, industry people, companies and organizations, artists, and art educators. 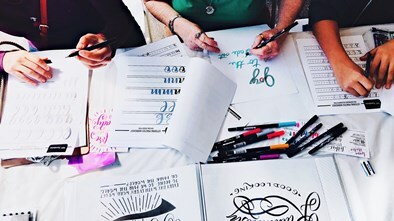 Share your thoughts on NAMTA's Art Advocacy program by filling out this short survey. Americans for the Arts is committed to providing information on top issues affecting the arts today. 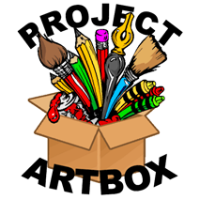 Take a look at their Arts Mobilization Center page, where you will find tools, resources, and information to help make your case for the arts and arts education as well as ways you can take action today. 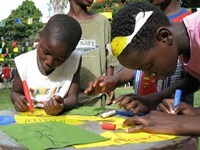 See more Art Advocacy Resources on NAMTA's Art Advocacy Website for the USA and Canada. • Arts Advocacy Day attendees had over 400 face-to-face meetings with Congressional leaders and their staff on Capitol Hill. • One of the key items asked of Members of Congress is to sign the annual letter in support of federal funding for the National Endowment for the Arts. Because of art advocacy advocates, the U.S. House of Representatives letter led by the Congressional Arts Caucus Co-Chairs Reps. Leonard Lance (R-NJ) and Louise Slaughter (D-NY) has garnered a record number of 154 signatures - more bipartisan support than ever on this important letter. • A similar letter in the U.S. Senate was led by Senator Tom Udall (D-NM). This year, 40 Senators signed in support. • At the Congressional Arts Kick Off, Senator Tom Udall and Representative Debbie Dingell (D-MI) announced their introduction of the CREATE Act in the U.S. Senate and U.S. House of Representatives. As part of Art Advocacy Day, Americans for the Arts provided a day of education for the 700 assembled attendees who were going to be visiting their representatives on the Hill the next day. Mark Golden (pictured), CEO and co-founder of Golden Artist Colors, was asked to participate in a session with Narric Rome, the Vice President of Government Affairs and Arts Education at Americans for the Arts for a discussion of the CREATE Act, a bill sponsored by Senator Tom Udall from Utah. This bill provides a mechanism which is budget neutral to provide artists and non-profit art groups some of the same opportunities that other entrepreneurs enjoy in the small business community. The act has several, really three major areas of emphasis and provisions that work through already established government agencies. The first emphasis is to offer opportunities for artists that are already offered to small businesses. It asks for expanded opportunities for loans for artists through the SBA. To request the Economic Development Agency and the U.S Department of Agriculture through its Rural Development Administration in order to offer tools such as incubators and grant programs to support the growing creative economy. Additionally, the act requires FEMA to provide disaster relief assistance for artists who have been impacted by natural disasters. In this regard, one of the most interesting parts of the act is to develop an Artist Corps, similar to that provided in the Serve America Act. The second emphasis of the CREATE Act is to adjust Federal tax policy that currently disadvantages artists in providing donations of their work to non-profits. Additionally the Act seeks to lower capital gains tax on art to levels of sales of other investments and support to museums allowing donors to provide fractional gifts. 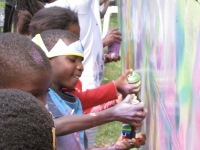 The third proposal of the CREATE Act is to strengthen the opportunities to develop models for communities that plan to use the arts and culture to improve local economic opportunities including arts district planning: http://www.americansforthearts.org/by-program/reports-and-data/legislation-policy/legislative-issue-center/the-create-act. Golden shared the value of the arts to so many of the artists and art organizations around the nation that are creating positive change in their communities yet are unable to access critical funds for growth. That “we have encouraged artists to help grow and strengthen the economic base of our communities but have not allowed them to share in the gains often going to developers and other businesses”. The Arts Action Fund is at the forefront of advancing the arts in America. As the nation’s leader in arts advocacy they stand up for every child’s right to a comprehensive, high quality arts education, promote public policies that provide individuals and families affordable access to all forms of the arts, rally national support against attacks to the arts, and build political influence to ensure bipartisan support for the arts and deliver unified messages to Congress. Since their founding in 2004, an extra $200 million has been appropriated to arts related funding. Dixon Ticonderoga recently celebrated the 2nd Annual Lowe's Home Improvement Pencil Give. Dixon Ticonderoga donated 2.8 million pencils valued at $460,000 to Kids In Need Foundation (KINF) Centers nationwide! Dixon Ticonderoga Company CEO, Timothy Gomez (pictured above), said, “. . . when kids have the tools they need, they will have a better classroom experience & their potential for success increases." Read more . . .
NAMTA’s Art Advocacy efforts are strategically focused to provide its members with the tools, information and resources needed to help them make a positive impact in their communities. 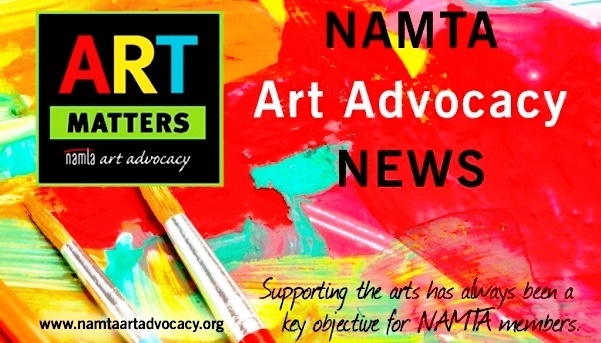 NAMTA Art Advocacy News eNewsletter is emailed quarterly to all interested. If a friend or colleague has forwarded you this email, you can sign up here to receive NAMTA ePublications directly to your Inbox.